Robert Fowler was born on 13 July 1840 in Sydney, eldest son of Irish immigrant potter Enoch Fowler (d.1879) and his wife Jane, née Lucas. He married Jane, daughter of publican Joseph Seale and his wife Susannah, née Owen, at St Barnabas’s Church, Sydney, on 2 October 1867. He died at Cranbrook, Camperdown, on 12 June 1906, survived by three sons and five daughters. He was buried in the Presbyterian section of Waverley Cemetery. Robert Fowler joined his father Enoch Fowlers’s business as a pottery manufacturer. In 1848 the Fowler’s pottery was in Glebe, first in Queen Street and later in Bay Street. In the late 1850s, Enoch Fowler purchased five acres at Camperdown, the site fronting Paramatta Road and bounded by Australia Street. The pottery grew from 25 employees in 1865, to 104 by 1908. 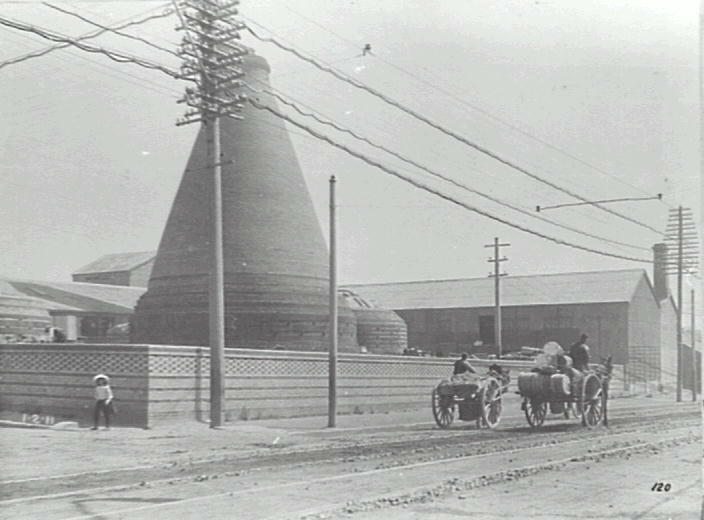 In 1865, when the business was at Parramatta Road in Camperdown, it specialised in mass-produced drainpipes, fired bricks, tiles, chimney pots and all types of pottery. Robert Fowler inherited the business from his father and became a wealthy man. He owned much of Camperdown and built a grand Italianate house named Cranbrook in 1881, opposite the Fowler Pottery in Australia Street. Fowler Street in Newtown was formed after 1880 and named after the family whose pottery works and chimneys dominated the Camperdown area. Fowler’s Pottery was demolished in 1919. 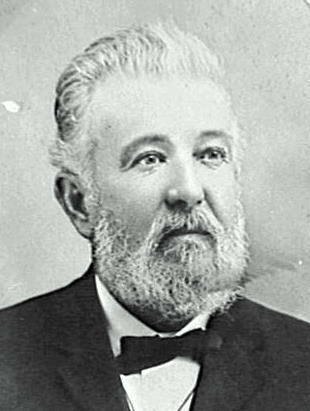 Fowler was commissioned as Justice of the Peace in 1872. He was a Commissioner for NSW at the Melbourne Exhibition of 1881 and the Amsterdam Exhibition of 1882. He was a member of the Royal Commission on Intoxicating Drink 1886. He was Director of Royal Prince Alfred Hospital from 1880 to 1890, of the Sydney Hospital from 1880 to 1882, and the NSW Benevolent Society from 1881 to1884. He was Chairman of the Local Public School Board and subscribed to the Irish Relief Fund. He was a philanthropist and a Freemason. Fowler was elected member of the Legislative Assembly for Sydney-Phillip from 17 July 1894 until his defeat on 5 July 1895. 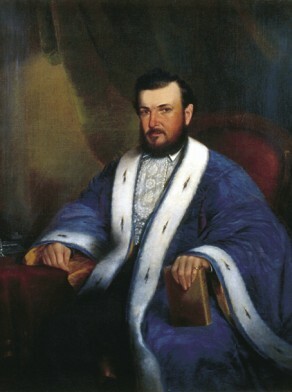 He was appointed MLC on 8 August 1895. In 1869 Robert Fowler was elected for Cook municipality and was its Mayor in 1870. He was instrumental in the amalgamation of the Municipalities of Cook and Camperdown and became the first Mayor of the new Camperdown borough in 1870-71. Fowler was elected Alderman of Sydney Council for Denison Ward, 2 December 1872 to 30 November 1887, and for Phillip Ward, 1 December 1890 to 1 October 1901. He was Mayor of Sydney in 1880. G. P. Walsh, ‘Fowler, Robert (1840–1906)’, Australian Dictionary of Biography, National Centre of Biography, Australian National University, http://adb.anu.edu.au/biography/fowler-robert-3563/text5511, accessed 16 January 2013.